Lionel Messi is undoubtedly one of the greatest football players of our generation. The four time FIFA Ballon d’Or winner is also one of the most celebrated sportsperson on the planet. His popularity is the main reason that numerous brands and companies love to associate their name with Messi. One such brand is German sportswear manufacturer Adidas which has been linked to the Argentine football player through various collaborations in the past. 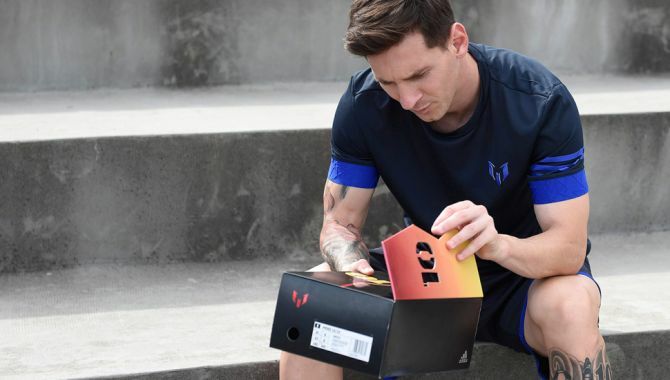 Now again, Messi have partnered with Adidas to unveil the new limited edition “10/10” boots. Being released in celebration of football perfection, just like Messi, the limited edition boots will be available for purchase on October 10 at the Adidas store in Barcelona. Designed to deliver perfection, Messi 10/10 boots will be limited to only 100 pairs. Well, only 89 pairs will be available for sale with one going to the player himself and the remaining will go to those who feature in the Backed by Messi campaign. Each pair of the limited edition Lionel Messi 10/10 boots will be adorned with a premium leather tag featuring a unique serial number. 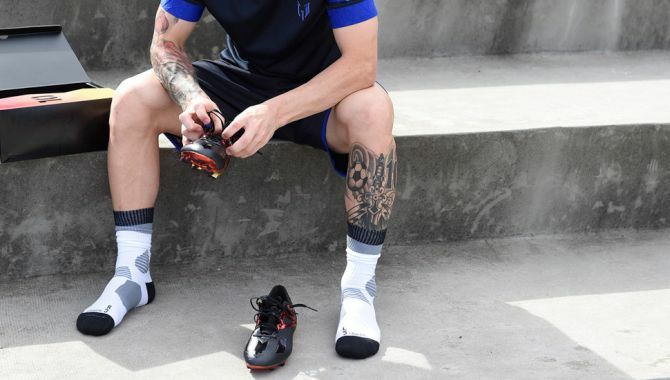 The upper part of the boot will come in premium black decorated with Team Messi logo across the forefoot. The heel of the boot will feature his shirt number set in real metallic gold. 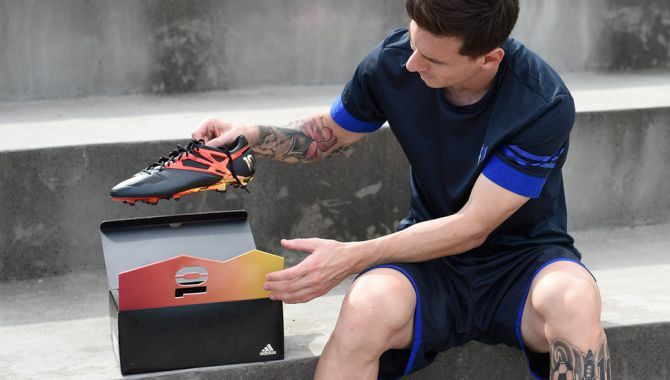 However, the collector’s edition boot will be available in 8.5 size only as per according to Messi’s shoe size.